In recent years, the use of CBD oil has greatly increased due to its reputed health value. The popularity of CBD has skyrocketed in the last couple of years, some cities are seeing CBD shops pop up on what seems to be every corner. As we elaborate on the benefits of this unique compound in this blog, you will definitely start to see why. Although individual experiences vary, many CBD users have found relief from a variety of symptoms and ailments. There is also quite a bit of promising research that has surfaced in the last few years about the benefits of CBD. CBD is starting to come into popularity to help relieve a variety of symptoms relating to everything from anxiety and insomnia to seizures and joint pain. Let’s take a look at how CBD can benefit those suffering from these ailments based on recent research. It is important to note that CBD is currently not FDA approved, but we believe that will change as more and more studies come out proving the benefits of this unique herb. Anxiety, depression, and even everyday stress can really wear on a person’s well being. Many people are turning to CBD as a natural alternative to traditional medicine to help combat these issues. CBD calms the mind and body by interacting with the brain’s natural chemistry. According to historical records, people have been using cannabis products to relieve anxiety since 2000 BCE. So it’s not surprising that recent studies have shown CBD oil can reduce symptoms of anxiety. While some people have experienced increased anxiety from other cannabis products that contain THC, this is usually not the case with CBD oil. THC and CBD are both compounds found in cannabis. However, THC is the psychoactive component of cannabis that can sometimes cause users to feel anxious. Therefore, it’s important to ensure that you are receiving a high-quality CBD product. 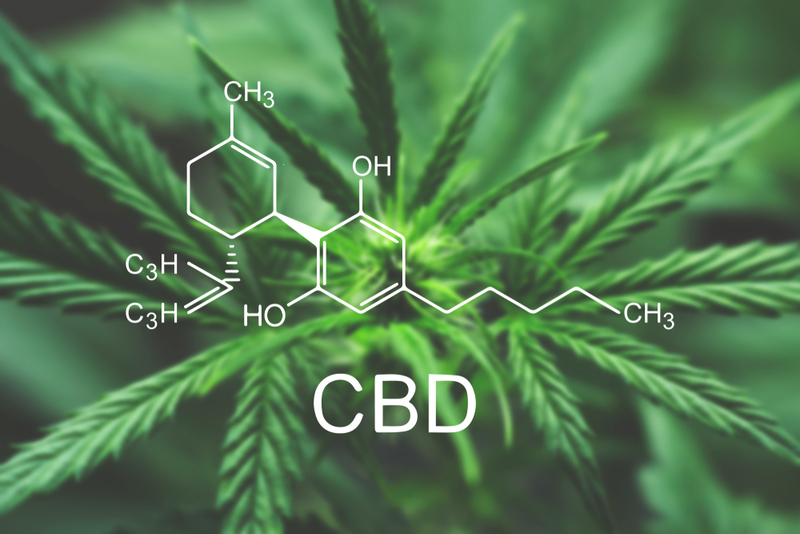 In addition to assisting with anxiety, CBD has also been helpful for some patients with post traumatic stress disorder (PTSD) and has even shown anti-depressant effects in animals. CBD tinctures or capsules are ideal for those suffering from these stress-related disorders because they are both fast acting and discrete. Perhaps the most extensive research on CBD has been regarding its impact on neurological disorders like epilepsy and multiple sclerosis. Though results vary widely based on a person’s biology and health condition, many CBD users have reported a reduction in the quantity and/or severity of their seizures and muscle spasms. We have seen significant promise from recent studies on how CBD can help those suffering from seizures. Of course, it is not readily being prescribed by doctors yet, but we see this as a possibility in the near future. CBD is starting to be studied as an option to help those who struggle with insomnia- a dangerous problem to have. Lack of sleep can lead to a slew of other health issues including decreased brain function, higher risk of cardiovascular disease, high blood pressure, and diabetes. The relationship between cannabis and sleep is complex, as many studies indicate. Some participants report feeling an increase in mental stimulation and disrupted sleep patterns after cannabis use. However, consumers of specific strains of hemp-derived oil have experienced decreased restlessness and improved sleep quality. Cannabis products act on the body’s endocannabinoid system, which helps regulate pain, sleep, appetite and the immune system. Research shows that CBD may relieve chronic pain and reduce inflammation. For this reason, those experiencing arthritis pain are great potential candidates for CBD oil. Topical products infused with CBD oil work best for those suffering from joint pain as they absorb into the skin and target the area where pain is being experienced. One of the most attractive aspects of CBD oil is the low-risk of side effects. Furthermore, those reported tend to be very mild. Having said that, it is important to be aware of the potential side effects when starting any new supplement. How CBD affects the body varies from person to person, but here is the – very short – list of known side effects. If you are worried about getting “high” as a result of using CBD products, they pose no risk of producing any psychoactive side effects from the small amounts of THC that sometimes come along with CBD so you can rest easy. One of the best ways to figure out if a health product is right for you is to do your own research first. So, if you are reading this, you are already off to a great start in your CBD oil investigation. When considering new supplements, some important determining factors include your health, age, and sensitivity to other substances. Keep in mind that everybody is different, so what works for one person may not necessarily work for you. Always make sure you purchase your CBD from a reputable company that has lab results readily available so you know exactly what you are ingesting. At Green Grove, we make it a priority to thoroughly test all of our products to ensure they do not contain heavy metals, toxic chemicals, or preservatives. We also test our products so that we know they are properly labeled for potency. As with any supplement, it is recommended that you consult a physician before you begin using CBD oil and follow the recommended dosing instructions they give you. At Green Grove, our mission is to bring people and animals alike the relief they need with high-quality, lab-tested CBD products. Head over to our store and take a look at the options available to you.